Tesla's super-hot Model X SUV just took a beating in Consumer Reports magazine. The verdict: "fast but flawed." "In spite of its virtues, the Model X's complexity, compromised functionality, and dismal first-year reliability suggest it's a car for early adopters eager to one-up their peers," says the magazine's January issue. The editors complained that the SUV's "falcon wing" rear doors were prone to stopping and pausing when they open and close, and that the back seats could not be folded, limiting cargo space. They also said that the huge front windshield, which goes all the way up into the roof, let in too much glare and that the ride itself was "too firm and choppy for a $110,000 SUV." The Model X does have its strong points, according to Consumer Reports, including powerful acceleration along with handling more like a sports sedan than an SUV. Still, the magazine ranked the Model X 15th out of 16 midsize luxury SUVs. The only SUV that scored worse was the Land Rover Range Rover Sport. (The Audi Q7 was ranked number one). 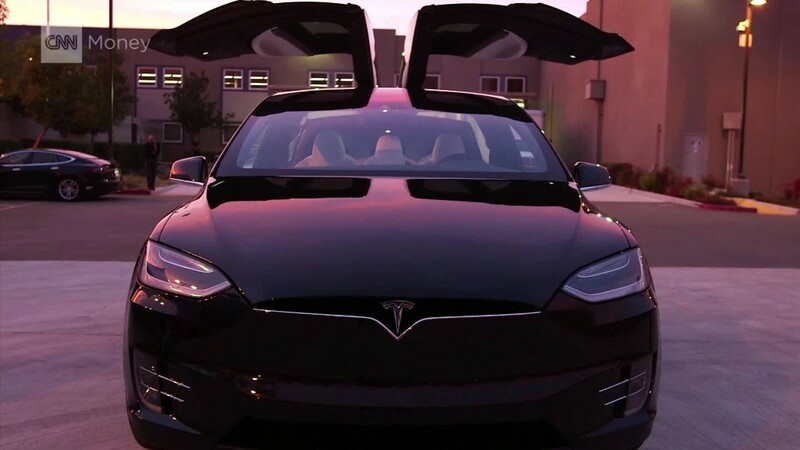 The Model X does have an outstanding Owner Satisfaction score, according to the magazine's surveys, meaning that, whatever Consumer Reports' writers and editors might think, owners still love the Model X.
Tesla defended the Model X in a statement. "Most Model X reliability reports are out of date since we have achieved a 92% reduction in reliability concerns in the past year. We know that Model X owners love their cars -- so much so that 92% say they would buy Model X again," a Tesla spokeswoman said. The Model X's performance in Consumer Reports' tests is markedly different from that of the closely related Model S sedan. The Model S did so well in Consumer Reports' tests that the magazine had to adjust its scoring methods to account for it. Had the magazine not done so, the Model S would have scored higher than 100. The magazine has since changed its scoring system.